Seacoast Orthopedics & Sports Medicine’s Radiology Department provides digital Computerized Radiography (CR) for the benefit of our patients. 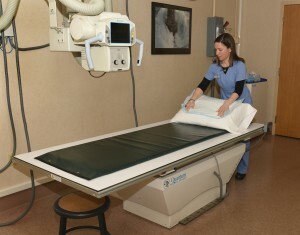 CR requires less time in the x-ray rooms and less repeated x-rays. The x-ray images are stored electronically and can be viewed, measured, and magnified by the orthopedic surgeon wherever and whenever the doctor needs them. Special features also help the doctor to prepare images for surgery. If you need a copy of your x-rays, they can conveniently be provided to you on a CD.